Superior. To the last detail. pressure regulation system VarioGrip, automated steering and much more. The benefits of optimum tyre pressure are clear: According to neutral tests, the ideal tyre pressure saves up to 8% fuel and increases area coverage by up to 8%. * Tractive power can also be increased by up to 10%. * Furthermore, it reduces soil compaction and therefore keeps yield losses at a minimum. When driving on the road, a higher air pressure ensures more stable handling and also lowers roll resistance, which reduces fuel consumption and tyre wear. Large-scale farms that are looking for flexible solutions for field and transport work, clearly choose the 800 Vario. 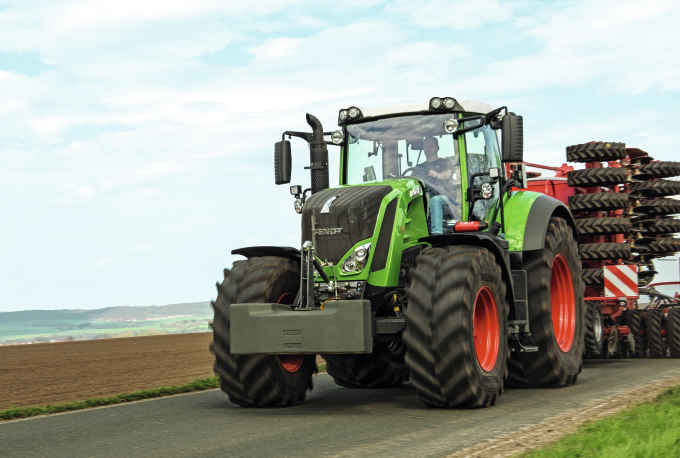 Dynamic, lively and with a straightforward design, the Fendt 800 Vario excels on the road and in the field. 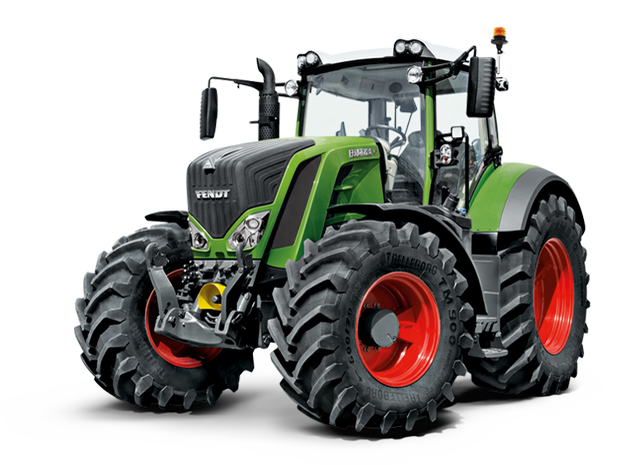 The Fendt 800 Vario achieves this with equipment options such as the VarioGuide guidance system, SectionControl or the VarioDoc documentation system. The outstanding fuel economy of a Fendt goes without saying. “Fendt has succeeded in clearly arranging a large number of functions on the armrest. The monitor sets standards with its menu navigation.”, topagrar tractor comparison “Operating Concepts” 01/2011, tested on an 828 Vario. At the Agritechnica 2009, the tyre pressure regulation system VarioGrip received the silver medal.